Vietnam is widely considered to be an alternative low-cost manufacturing haven to China. However, as China transits into a consumer economy with a growing middle class and increasing wage expectations, we expect more manufacturers to turn their head towards Vietnam as the next global factory. Vietnam has kept wages low, the average monthly wage in the manufacturing sector is US$210 compared to China at US$616. Additionally, Vietnam has been raising its overall productivity significantly, growing at 49 percent over the past decade. Vietnam also has a young population with only 6 percent of the population over the age for 65. As productivity continues to rise, these factors could potentially make Vietnam the next manufacturing powerhouse. Vietnam is also taking steps to liberalize its economy, reducing the number of restriction on foreign investment. Decree 60 was passed to scrap the 49% foreign ownership rule for most listed companies. This demonstrates a step in the right direction to open up the economy and encourage foreign direct investment into the country. Numerous tax incentives such as preferential tax rates of 10% in certain provinces and tax holidays are also likely to spur greater foreign investment. Multi-national companies such as Intel, Samsung, Nike and Siemens have paved the way, constructing billion-dollar manufacturing complexes in Vietnam. As manufacturing capacity rises in Vietnam, smaller companies are likely to follow suit. Mexico has been undergoing massive reforms to rebuild its energy industry. It recently ended its state monopoly in the local oil and gas sector. The privatization of this key sector of the economy is likely to bring in a host of investment opportunities. With, large volumes of accessible untapped oil and gas resources (29 billion barrels of oil equivalent in conventional and another 60 billion in shale), Healy Consultants expects oil and gas companies, both big and small to enter the market. This wave of incoming oil companies will also support upstream and downstream business such as consultancy, data analytics and oil product retailers into the market. Despite increased isolationism sentiments from the new US administration, economic relations between US and Mexico continue to benefit both countries. Located just south of the US border with a fraction of the wage cost in US, many American companies are looking into moving manufacturing operations to Mexico to leverage on the lower labour cost. Furthermore, Mexico is developing a national expertise in certain industries including i) automobile, ii) aerospace and iii) assembly of appliances. Deepening expertise will increase productivity and efficiency, making it increasing attractive for US manufacturers to relocate to Mexico. Mexico also represents a massive consumer market to tap into. With over 122 million residents, Mexico has about the same number of consumers as several European countries combined, with a GDP per capital of US$10,000, placing it in the category of upper middle income countries. Mexico also has over 145 thousand individuals with net worth of over US$1million dollars (not including value of primary residence). Since 2013 the Irish government has been actively encouraging new businesses in Ireland through tax incentives and support programmes. With a 5.2% GDP growth rate in 2016, Ireland has yet again topped the list of best performing economies in Europe. Ireland has also one of the lowest corporate tax rate globally at 12.5% and double taxation treaties with more than 60 countries worldwide. This is significantly lower than corporate tax rates in reputable low-taxed countries such as Singapore (17%), Czech Republic (19%) and Luxembourg (22%), thus making Ireland highly attractive to large international MNCs and even new startups. Apart from low taxes, Ireland has excellent government support for businesses through various platforms such as IDA, Enterprise Ireland and Chambers Ireland. These platforms offer funding aids, networking opportunities, market research statistics as well as streamlined business startup processes. Long-term investments in areas such as infrastructure and technology have contributed to Ireland’s highly successful FDI endeavours to date. Consequently, Ireland’s growth of new clusters, particularly in ICT and innovation, supply chain logistics, pharmaceuticals and manufacturing are drawing companies around the world to set up headquarters in Ireland. Being geographically located close to Europe, the Middle East and USA, Ireland is the gateway connecting these major markets in addition to its robust and stable business environment. Ireland remains one of Healy Consultants’ top jurisdictions for business set up in 2017. Evident by China and Egypt’s increasing stake in sub-Saharan Africa’s FDI, Africa is no doubt a land of rich mineral resources with untapped business opportunities for investors. However, investors are often faced with excessive administrative costs and procedures in many countries across Africa, due to the lack of infrastructure and technology support, and political instability. On the contrary, Kenya has seen continuous improvements in their business processes, with an overall rank of 92 according to the World Bank’s Ease of Doing Business survey 2017. This is a major leap from its 2016 rank at 113. Further government transparencies through the newly established online portal boost investor confidence with access to free information on major available government programmes. 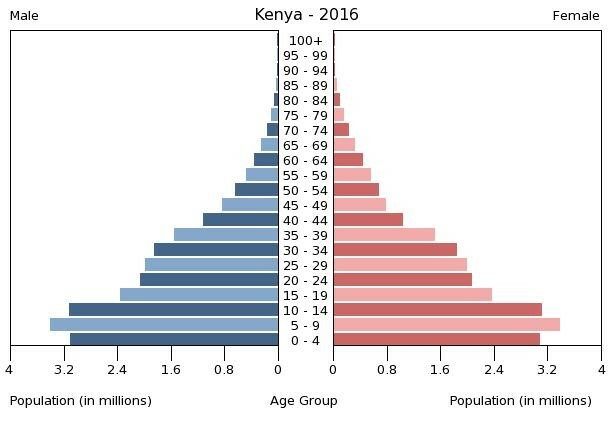 Kenya’s young growing population is expected to more than double from 45 million in 2015 to 95 million by 2050, leading to an expanding working age and middle-class population. Domestic consumer spending is expected to be on the rising trend in various sectors such as lifestyle, mobile and property which translates to more domestic business opportunities. Kenya is also Africa’s top 10 fastest growing economies and its 2001 collaborative East African Community (EAC) trade bloc is expected to boost its economy further with enhanced integration of trade, pooling of resources and market pro-liberalization within East Africa. Businesses in Kenya therefore can expect to have easy access into EAC’s market size of 150 million people, a sizeable and growing economy in sub-Saharan Africa. In 2017, Healy Consultants expects our Clients to steer away from Marshall Islands, Jersey, Cayman Islands and incorporate their offshore companies in reputable low tax countries such Singapore, Hong Kong, Dubai and Luxemburg. One of the key reasons for choosing reputable low tax countries in Cayman, Seychelles and Marshall Islands is because it affords high level of confidentiality. High net worth individuals can obscure their holding of wealth as there are no requirements to disclose particulars of company’s directors and beneficial owners or financials. However, these countries have made commitments to implement information exchange programmes to be removed from OECD’s list of uncooperative tax havens. With increasing pressure from the international community to combat tax evasion, there will be more requirements for the disclosure of directors and beneficial owners. Additionally, banks and government agencies have a negative perception of these tax haven companies. Considering the new banking regulations and global outlook on anti-money laundering and counter terrorism financing, banks are getting increasingly reluctant to hold accounts for tax havens. Many banks often reject bank account applications from tax haven offshore companies. Singapore, Hong Kong, Dubai and Luxembourg have great reputation amongst banks and government agencies, with excellent online infrastructure support for businesses and stable political environment. This strongly appeals to international companies who seek efficient and reliable systems to minimize any disruptions to their operations. As a result, Healy Consultants expects to see more clients moving their capital towards these reputable low tax jurisdictions instead. At Healy Consultants, we shelter our Clients from inconvenience during the incorporation process. We will manage your engagement with efficiency and professionalism. Interested in knowing more about starting a company? Contact us at (+65) 6735 0120 or send your questions to email@healyconsultants.com.